There’s nothing like face to face interaction when you’re conducting business or chatting with an old friend. Now you can add a personal touch to all of your online relationships with the Logitech QuickCam Orbit AF. 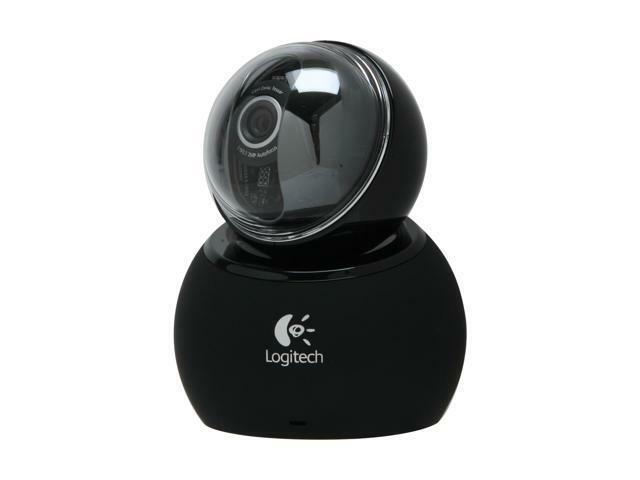 This Web camera can record in a crisp and clear 2.0MP and features convenient face-tracking allowing you to move around and stay in frame. Your images will look great at any distance thanks to the premium autofocus technology that allows you to get as close as 10cm to the camera. Picture clarity is virtually guaranteed by the Carl Zeiss® lens – pioneers in the optical industry. The excellent design of the QuickCam Orbit AF features a built-in microphone. Your voice will sound clear and bright during video conferencing due to the RightSound technology that reduces background noise. The entire unit can also extend up to nine inches, making it easier to maintain eye level contact. The software also gives you greater performance with RightLight 2 technology. Compatibility with popular instant messenger programs means you can use the camera with AIM, Skype and more. Nothing inspires more trust and good will than seeing someone’s face while talking to them. Share yours with the world and bring home the QuickCam Orbit AF today! HD Video Capture Combining advanced autofocus technology with Carl Zeiss optics, the Logitech QuickCam Orbit AF produces exceptionally sharp and clear HD videos at 720p resolution. Motorized Tracking The advanced Motorized Tracking technology keeps you right in the middle of the picture, offering 189-degree field of view and 102-degree tilt. RightLight 2 technology The breakthrough Logitech RightLight 2 Technology automatically adjusts video settings in low-light and uneven lighting conditions, helping improve the overall video experience. Built-in Microphone with RightSound With the built-in microphone and RightSound Technology, video chat with your friends or leave voice messages to your co-workers quickly and easily. This item is covered by Mac Marvel's Marketplace Return Policy. Pros: Awesome and very fast face trucking. Good quality. Even after 2,5 year works great. Pros: Video quality itself is decent - or it was years ago when this thing came out. By today's standards you can do better though Logitech has a pretty good grip on the webcam market. Cons: The motorized tracking is the reason this is so expensive still. It is overly sensitive and unless you're doing cartwheels in your office chair I'm not sure why a webcam needs it anyway. The "extension rod" is flimsy and repeated attaching/detaching of it will cause your connection on the base to loosen, causing connectivity problems. All controls are software-based and Logitech has to have some of the most disruptive and invasive software I've ever come across. This is probably nitpicking but for this price I think I should be allowed that. Other Thoughts: The thing with webcams is half of it is the camera and the other half is your connection. If you're looking for real camera features like zoom, color representation, light detection, things like that then I'd look at some of the new HD webcams. Even the HD ones from Logitech are way cheaper than this - again, the motor is why it's expensive. Comments: Nice style, good looking, compact. Comments: Logitech can also work on their webcam software features. I mean for a 100 dollar webcam, the included software is just lame. My GF's laptop built-in camera have more features! Add more fun filters and etc!!! Overall, it is a good webcam. Very nice design. Flawed driver but can be fixed by using older version. I took off one star because of the driver issue and lack of features. Comments: Solid camera, actually my first and last web cam the extender for the camera lens is also a great add in. Never had any issues I can remember ( had it for years) and its a solid buy. I highly recommend. Comments: Would buy again for sure. The software is windows 7 compatible now so the older reviews are now incorrect.